It seems the Indian government has just decried McAfee’s belief with their latest provision. Reportedly, the Reserve Bank of India (RBI) has issued a statement against the usage of virtual currencies/encrypted money like bitcoin. The further usage of any such currency will be considered as breach of anti-money laundering provisions. 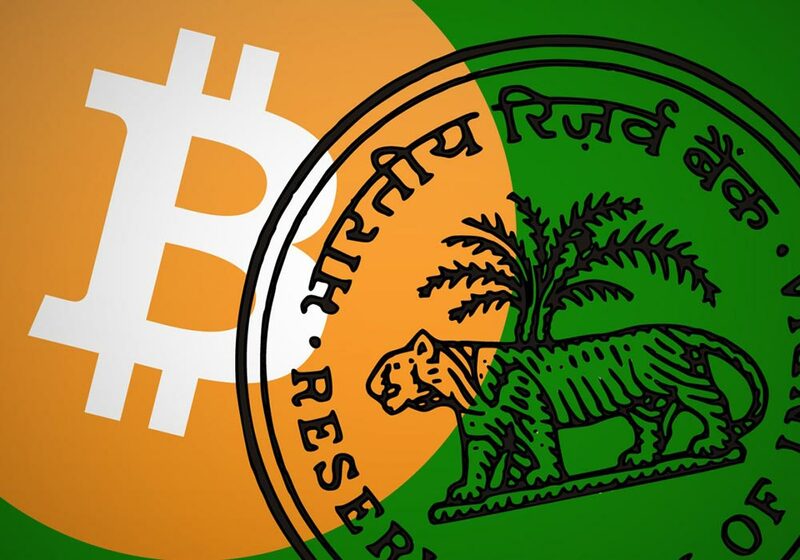 In India, the RBI has been warning and issuing notices against cryptocurrency several times in the last few years. For instance, in December 2013, bitcoin exchanges in India had to halt their operations after a similar announcement by the RBI. Also, raids were carried out on bitcoin trading platforms. Post RBI warning and raids, where several Indian digital currency companies like Laxmicoin postponed their launch, some continued with trading. Bitcoin was introduced in 2008 by an unidentified group of programmers as a cryptocurrency as well as an electronic payment system. It is, reportedly the first decentralised digital currency where peer-to-peer transactions take place without any intermediary. These transactions are verified by network nodes and recorded in a public distributed ledger called the blockchain, which uses bitcoin as its unit of account. As per Wikipedia, Bitcoins are created as a reward in a competition in which users, offer their computing power to verify and record bitcoin transactions into the blockchain. This activity is referred to as mining and successful miners are rewarded with transaction fees and newly created bitcoins. Besides mining, bitcoins can be exchanged for other currencies, products, and services. There are over 20 other cryptocurrencies which exist today. Most of them came after bitcoin, even though bitcoin was precisely not the first. The list includes Litecoin, Peercoin, Primecoin, Ripple, Quark, and more. However, bitcoin is the only one which has created any kind of buzz, including in developing countries like India. Initially dealing with low acceptance and trust issues from the regulatory bodies, 2016 was the year bitcoin gained countrywide acceptance. As per a Trak.in report, in 2016, the country possessed around 50,000 bitcoin wallets and around 700-800 bitcoins were traded every day. With bitcoin transactions reaching INR 500 Cr a year, the cryptocurrency had started finding applications in areas such as ecommerce, paying bills, and buying gift vouchers from popular online retail sites. This was the time when RBI too “appreciated the strengths of of the underlying ‘blockchain’ technology,” and there were hints in the air to use bitcoin wallets in remote areas instead of putting up brick and mortar banks. Also, bitcoin was considered useful in reportedly saving over $7 Bn in fees paid to third parties during transactions with companies such as PayPal, Western Union or to banks through transfer and exchange rate fees. Apart from this, the virtual currency segment has also attracted leading angels and venture capitalists to invest in bitcoin startups. In September 2016, Bengaluru-based Bitcoin startup Unocoin raised $1.5 Mn in a Pre-Series A round, while in April 2016, Ahmedabad-based mobile bitcoin wallet startup, Zebpay, raised $1 Mn in Series A funding. In February 2014, India’s first bitcoin etailer – Highkart.com was launched as the first ecommerce site to accept bitcoin payments exclusively. The first fully compliant bitcoin exchange, BTCXIndia, was also set up in Hyderabad. In December 2015, former RBI chief Raghuram Rajan said the digital currency was ‘fascinating’ and that India’s central bank could use digital currencies. However, even with several defined use cases, it has come out that bitcoin also attracted criminals for charging ransomware, people using it for tax evasion and more. Since then financial regulators, legislative bodies, law enforcers and media all over the world have continuously debated on its legality and usage. Infact, a recent Forbes report also termed bitcoin as the ‘blood diamonds’ of the digital era citing it as a mere medium of exchange for lawbreakers. It is no doubt that technology, even fintech, is slowly evolving past the point of no return. With existing mediums of transactions such as credit cards/net banking and others being digitised, and the advent of Android Pay, Samsung Pay and Apple Pay among others, the notion of currency itself is undergoing drastic change. What was once cold, hard cash – that a user could see, touch and feel has now become a bunch of zeros and ones on the smartphone. With this evolution, it is not hard to imagine a world where existing forms of currency become obsolete (along with the tedium of transactions) and cryptocurrency (stands for secure, encrypted currency) take its place. Bitcoin, for the most part, has had legitimate uses and while the ‘mining’ of bitcoin is a time-consuming and expensive process, it also has opened up the door for changing the global mindset of people when it comes to the one thing they hold most precious – money. But, the government’s concerns cannot be overlooked either, as no form of currency (crypto and otherwise) can be used to bypass and launder money or finance terrorist activities. If used judiciously, and within the defined legal framework, bitcoin could become a gamechanger, taking fintech to the next level in the coming decades.